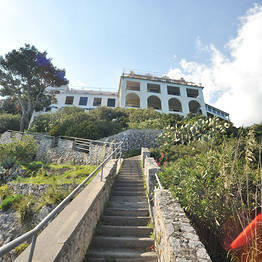 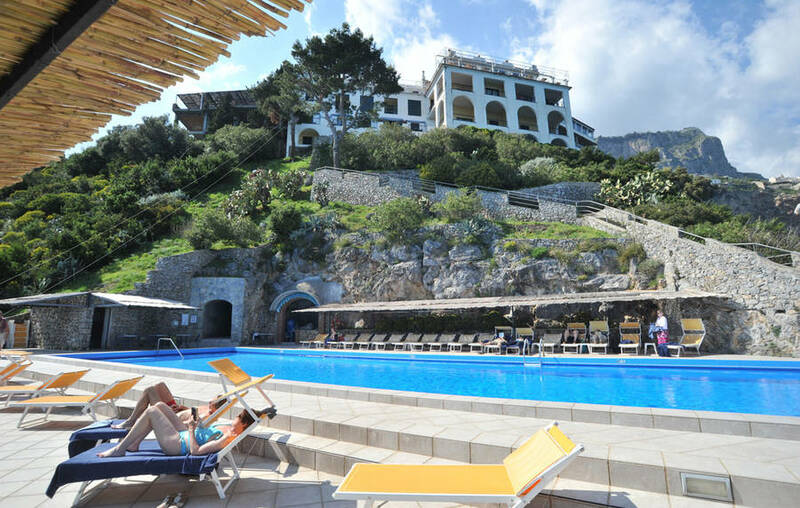 A gorgeous seaside retreat which combines the warmth of a private home and the facilities of a 4 star hotel to perfection, Hotel Belvedere is the ideal choice for those eager to experience the beauty and tranquility of Conca dei Marini, a pretty little fishing village in the heart of the Amalfi Coast. 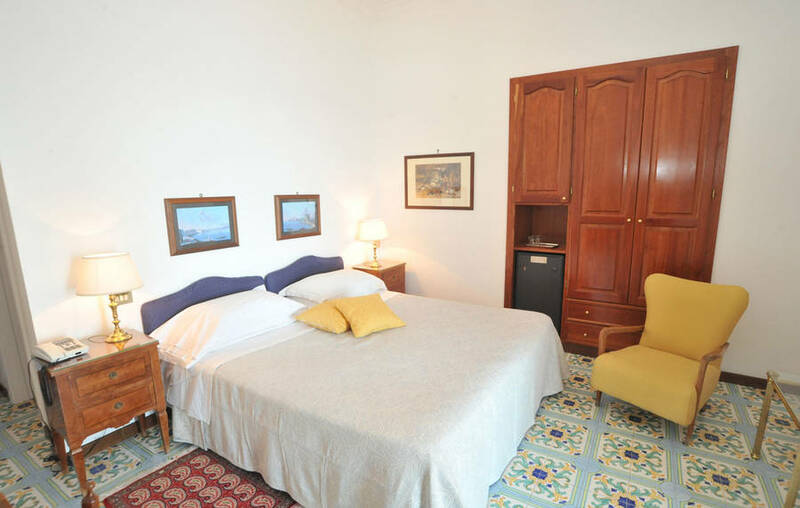 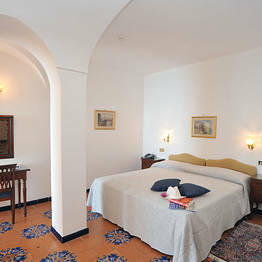 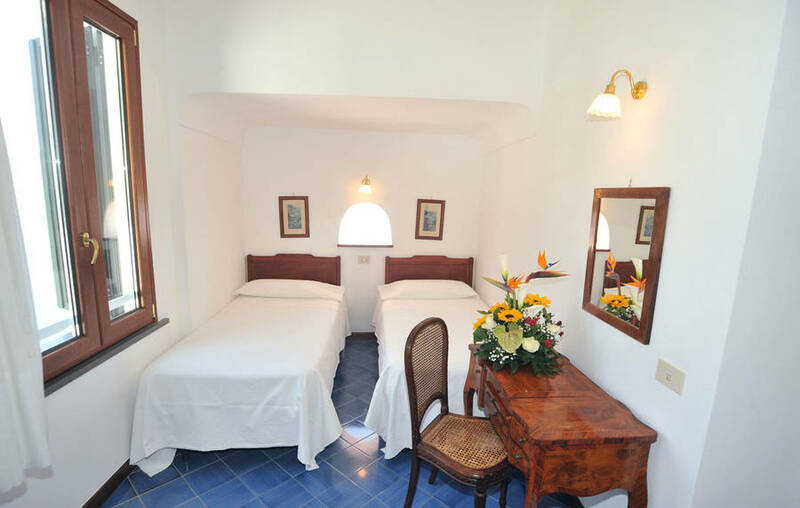 Bedrooms are elegantly furnished in typical Mediterranean fashion and equipped with every modern comfort. 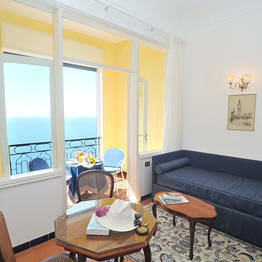 All rooms open out on to their own private terrace from where magnificent views of the sea can be seen. 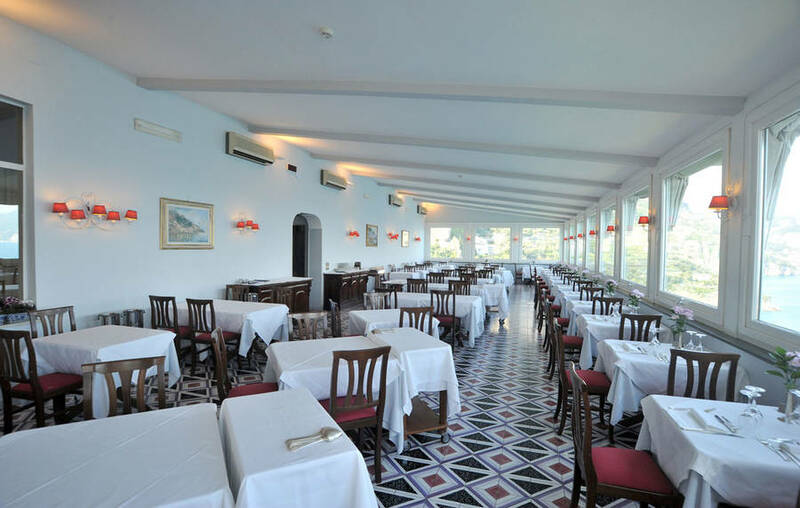 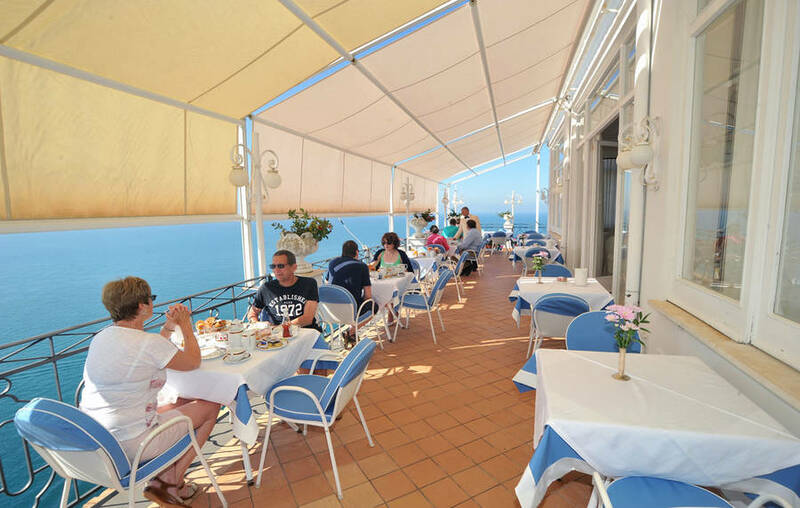 Hotel Belvedere's restaurant serves delicious local and International cuisine accompanied by an excellent selection of wines. 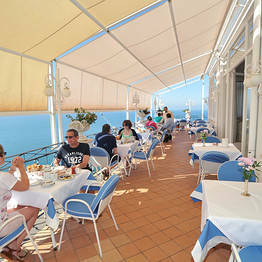 Light lunches and snacks are available at the bar next to the hotel's large sea water swimming pool. 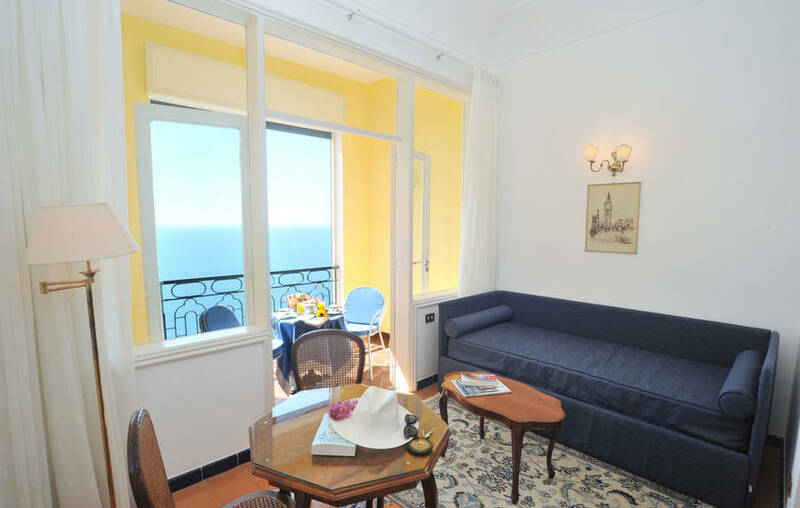 Using the hotel's minibus service, guests quickly reach the beaches and the picturesque lanes of the historic center of nearby Amalfi. 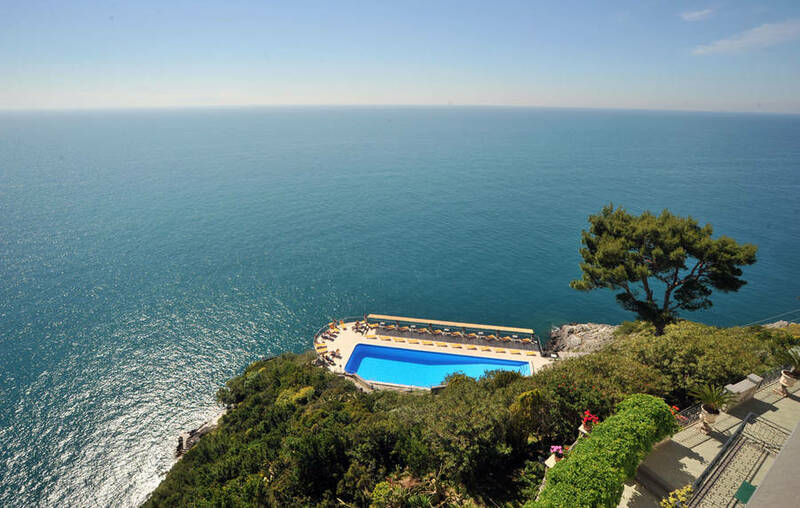 For those who prefer to stay in the vicinity of the hotel, Belvedere has direct access to a tiny rocky beach and the wonderfully warm, Mediterranean sea. 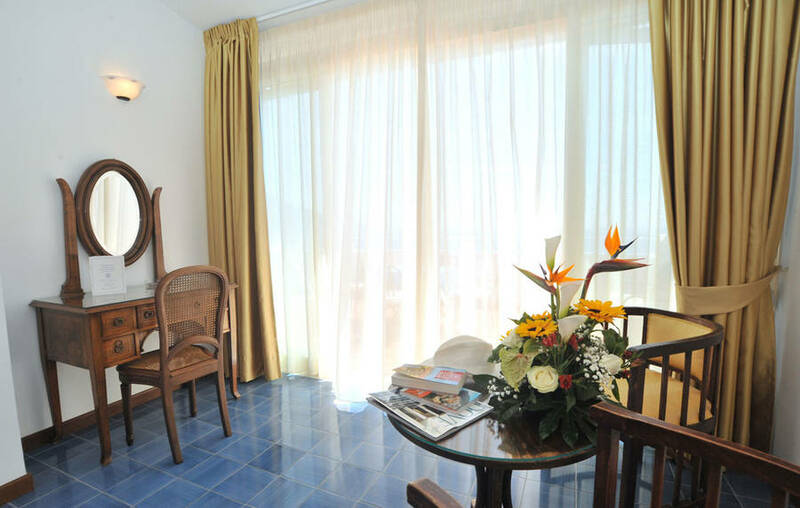 The spectacular views of the sea from each and every room. 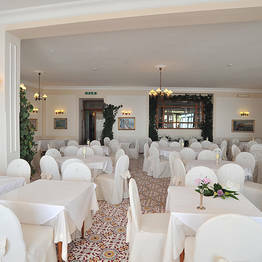 Local and international specialties served in the hotel's restaurant. 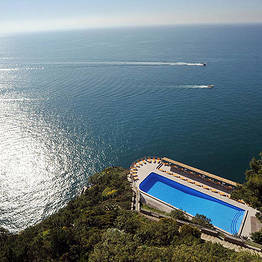 The panoramic seawater swimming pool. 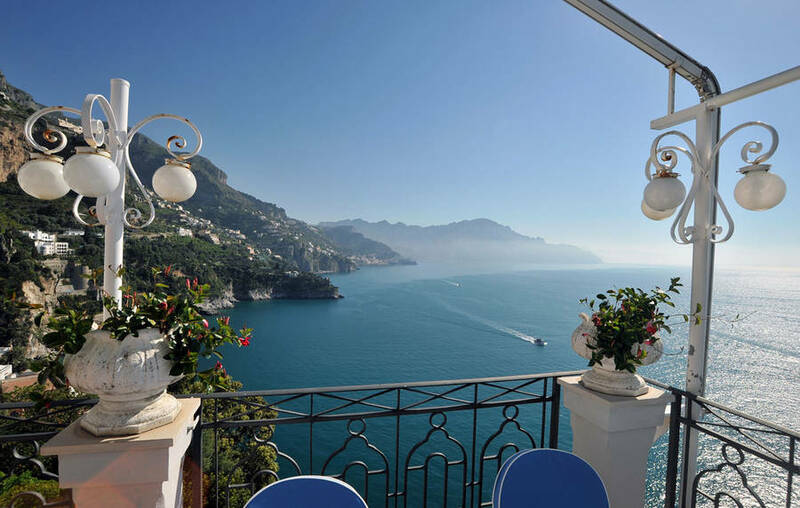 "A great hotel in a fantastic location with an awesome view of the Amalfi Coast: I'd recommend it to all those who know how to enjoy life." 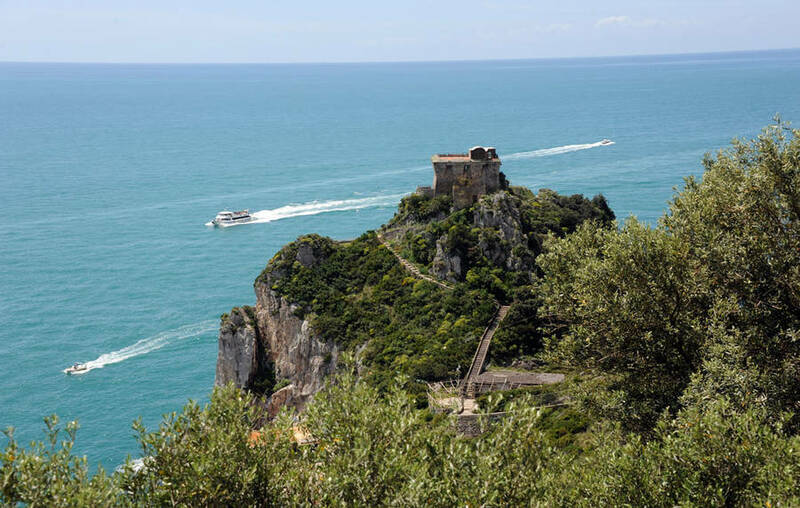 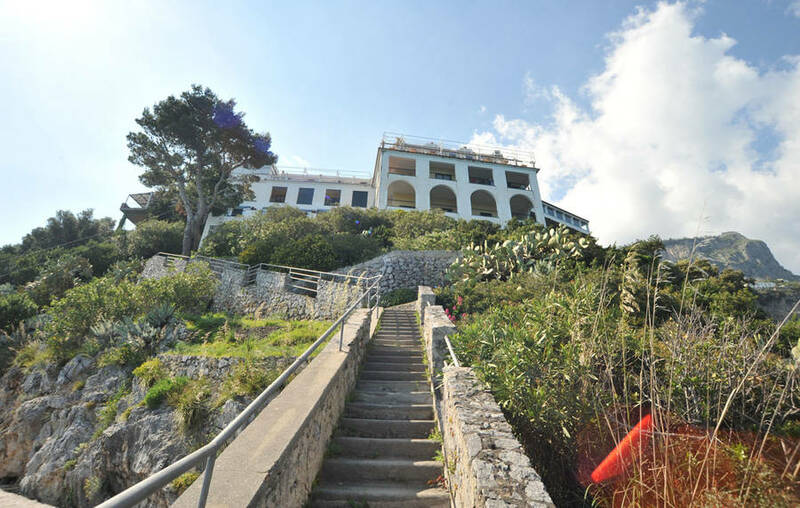 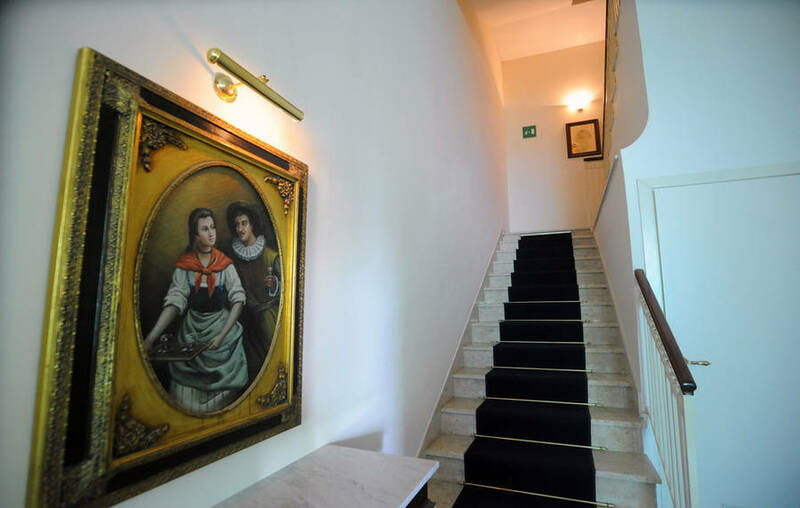 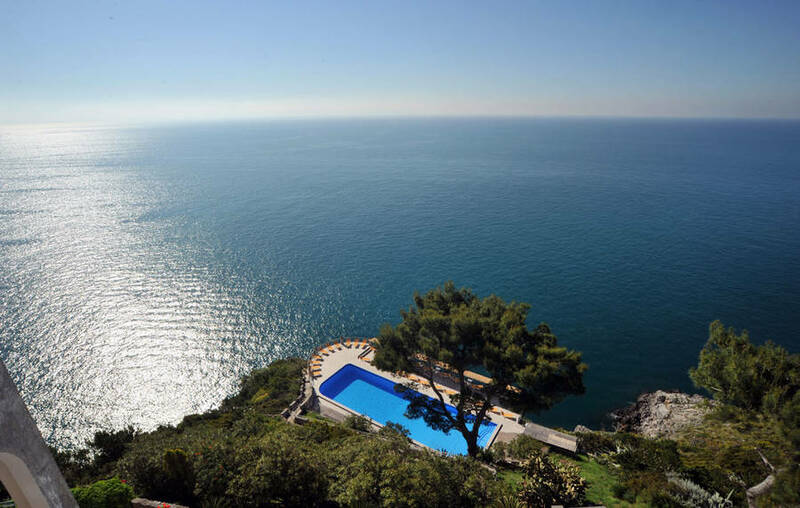 "The location is unbeatable: with fabulous views and close to the beach of Conca dei Marini, quickly accessed via a flight of steps next to the hotel. " 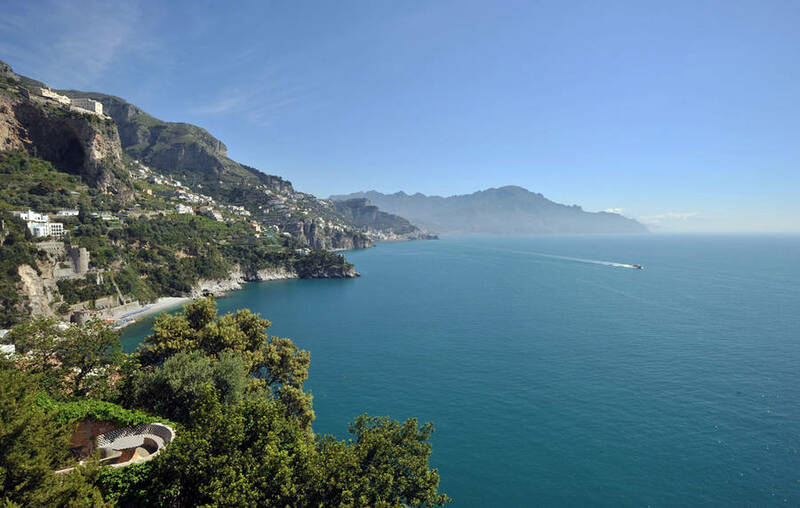 "Free parking is a real plus on the Amalfi Coast." 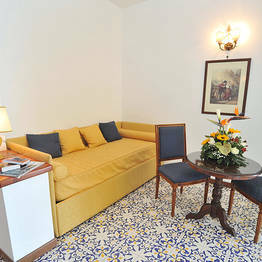 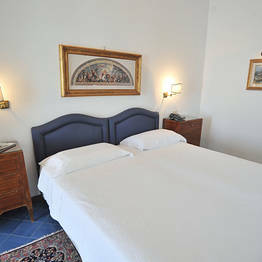 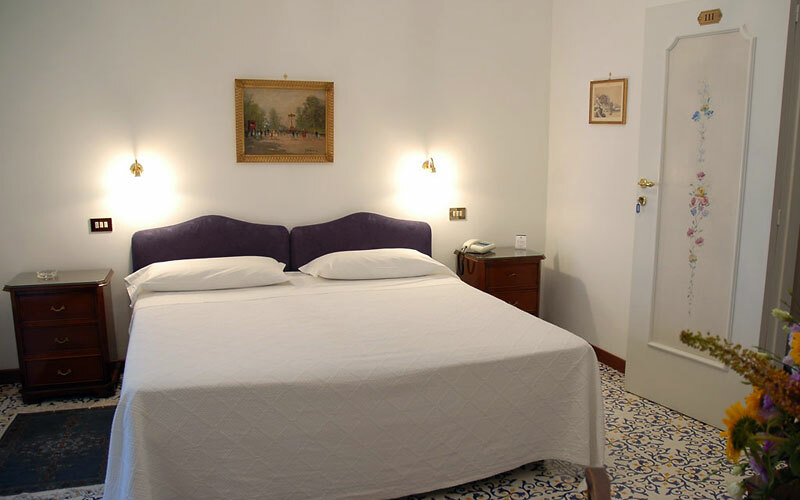 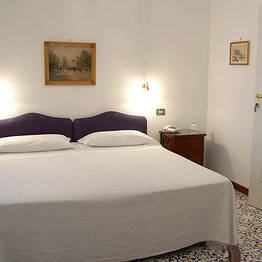 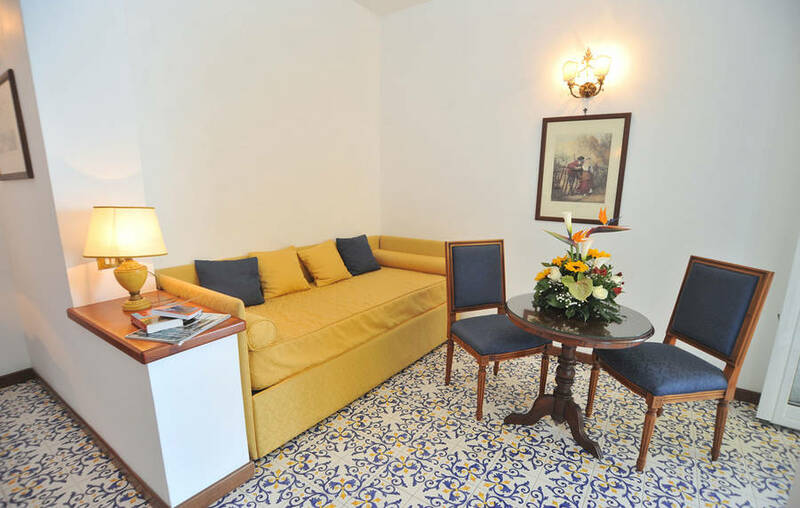 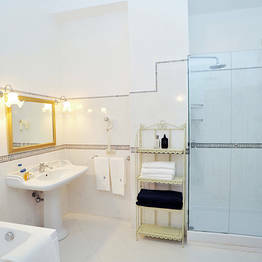 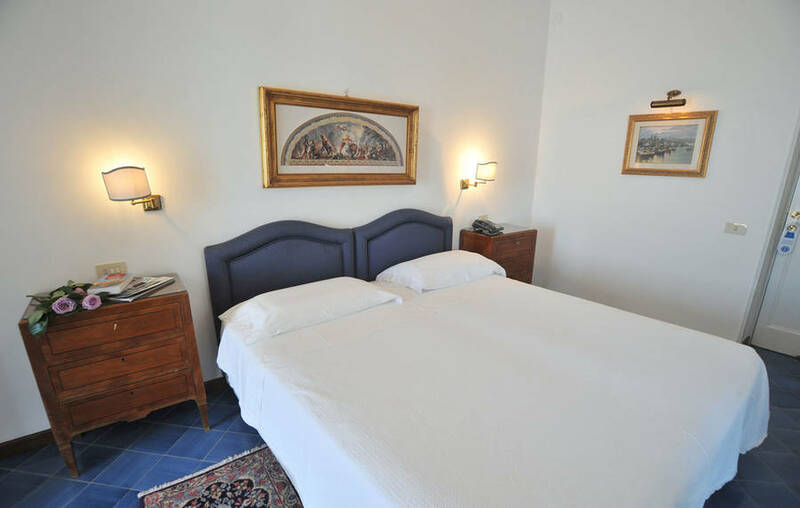 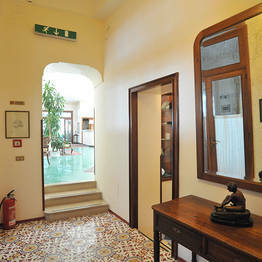 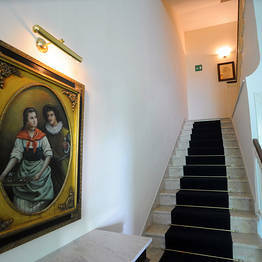 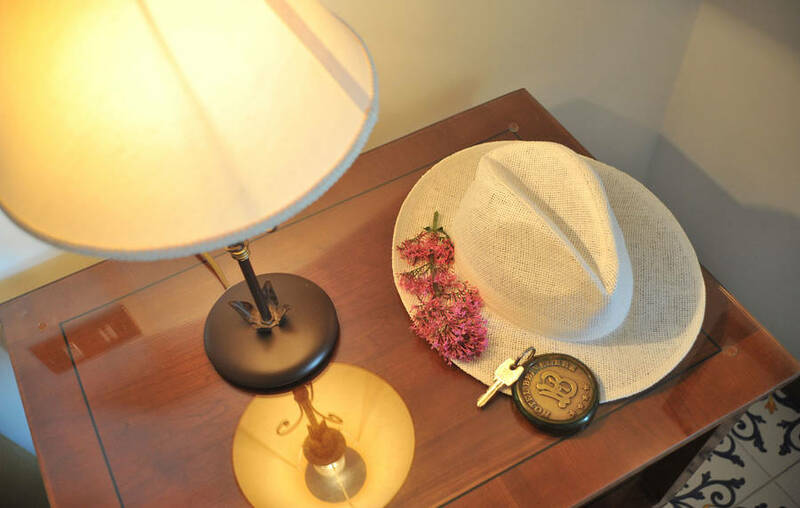 "The recently rennovated rooms were really large (as were the bathrooms) and furnished with antiques. 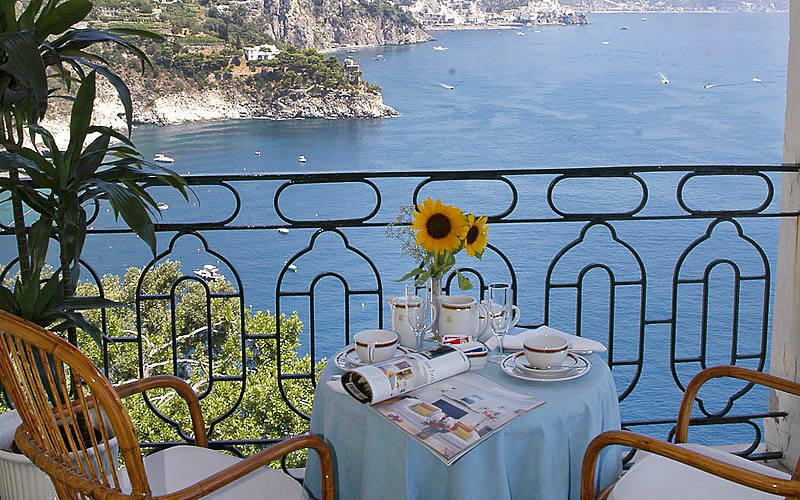 And what a view! " 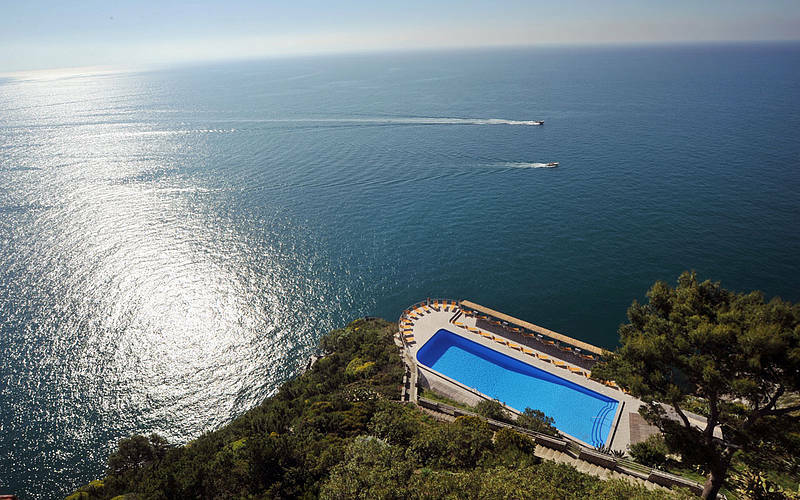 "The salt water swimming pool, directly above the sea, and the rocky platform, reserved for guests' exclusive use, were stunning. " 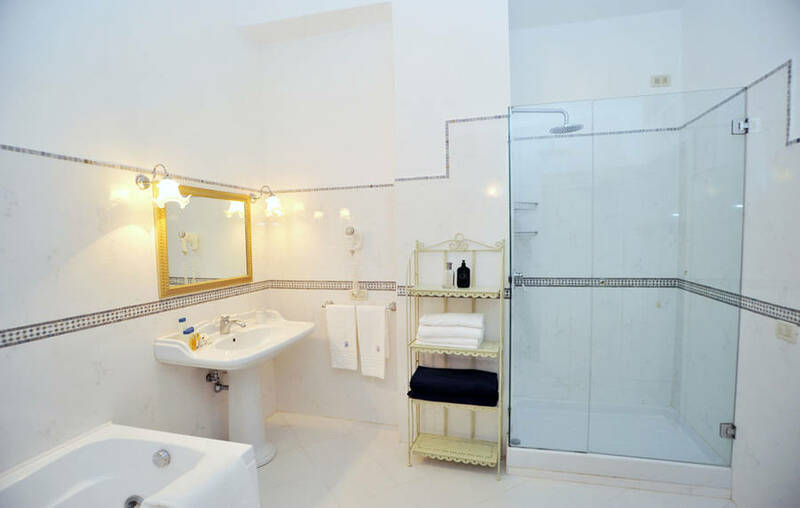 "We loved the faultless attention to detail and the polite and attentive staff." 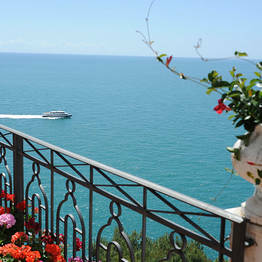 "It is an unforgettable place!" 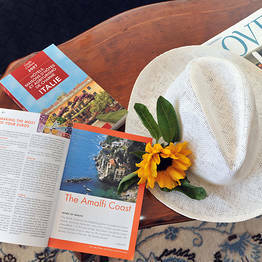 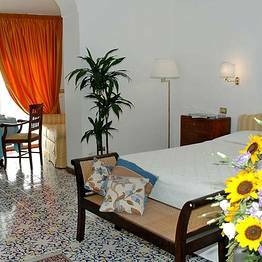 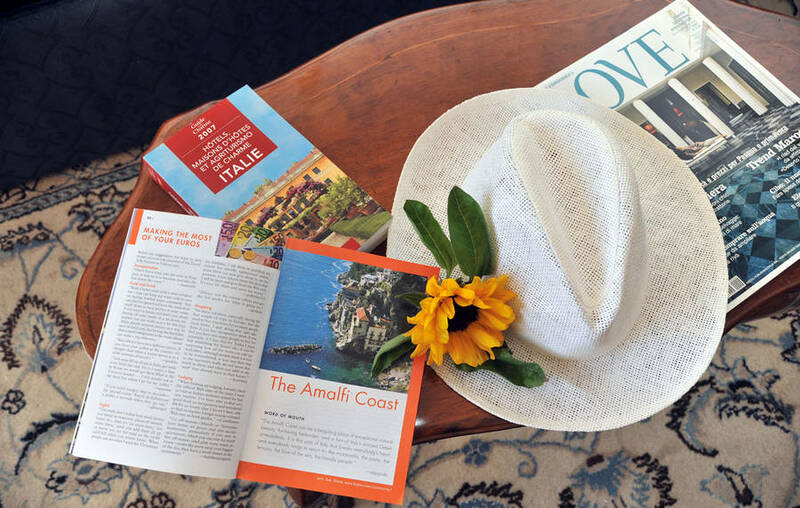 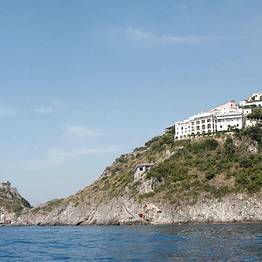 Hotel Belvedere is located in the pretty little fishing village of Conca dei Marini, halfway between Amalfi and Positano. 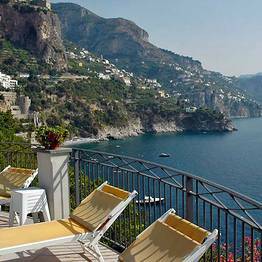 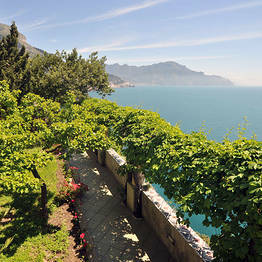 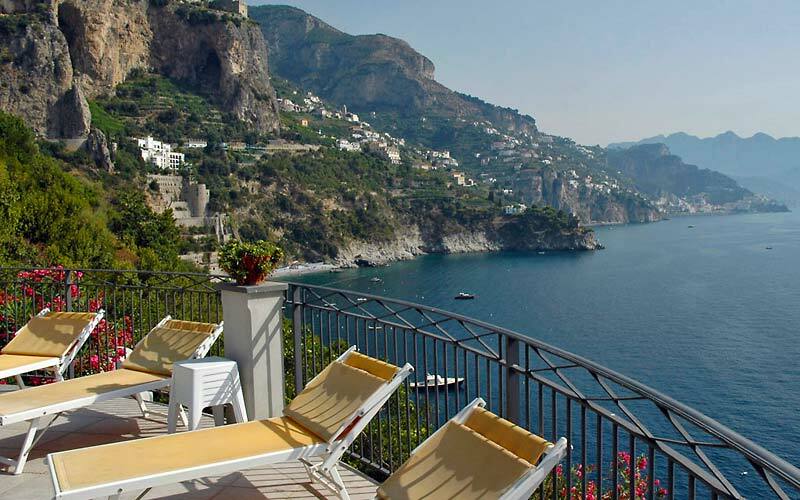 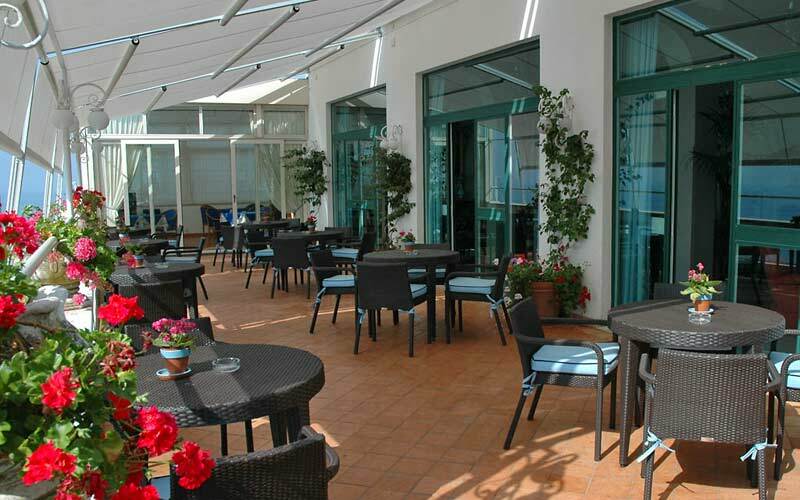 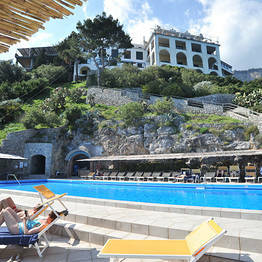 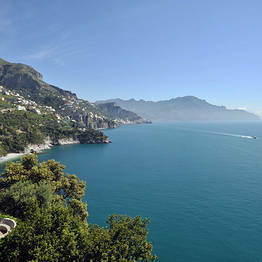 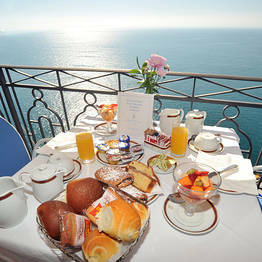 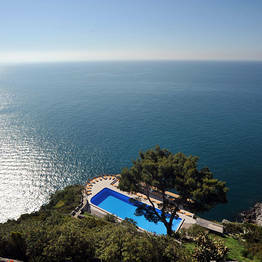 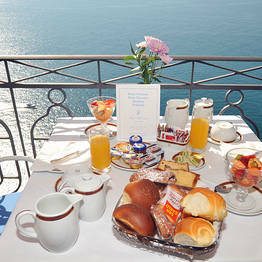 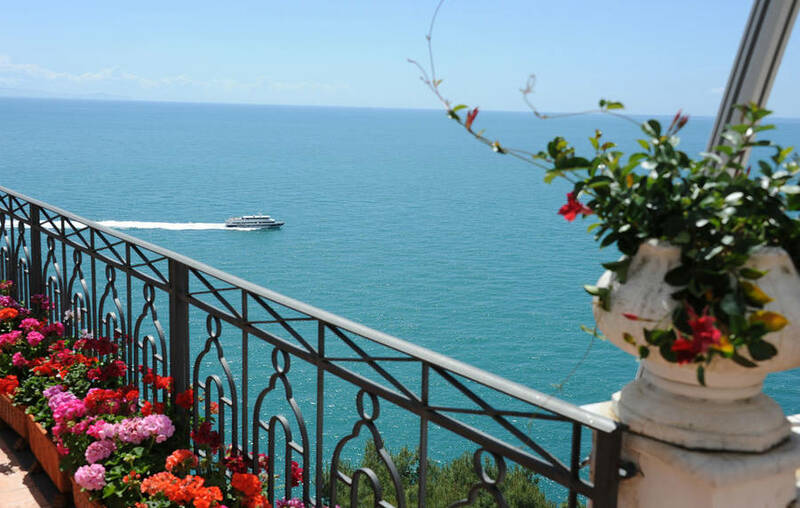 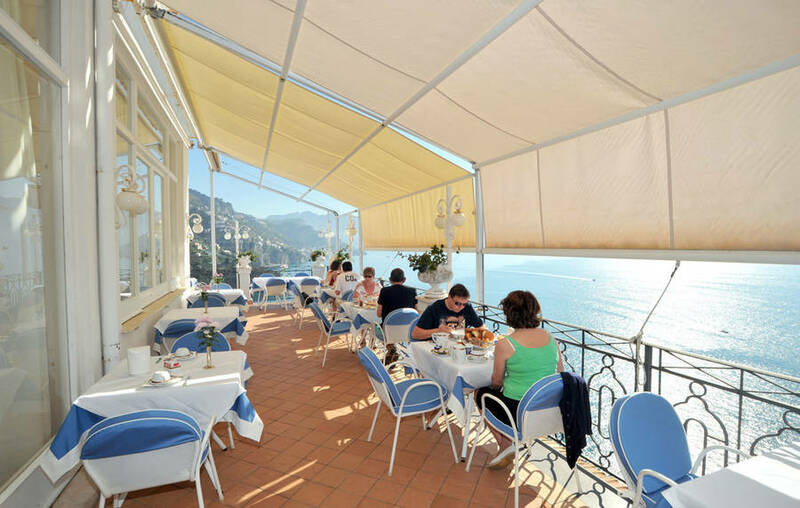 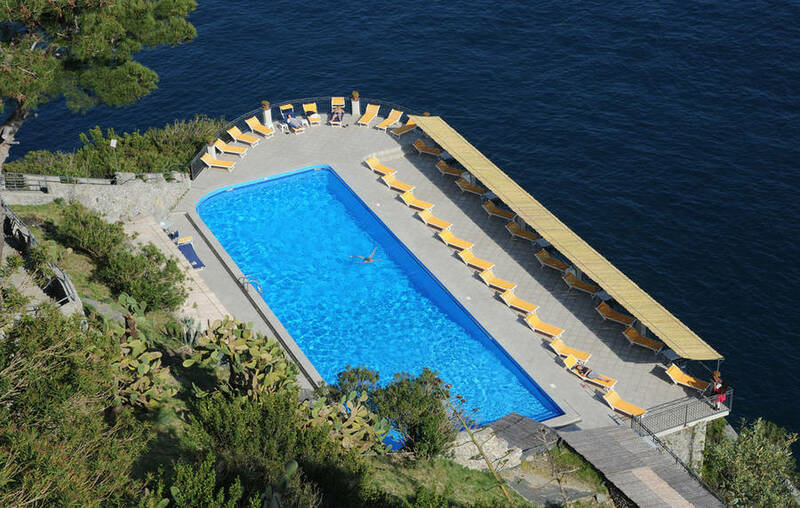 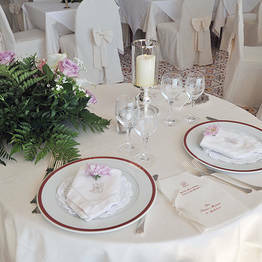 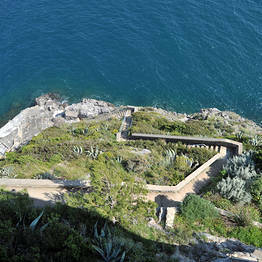 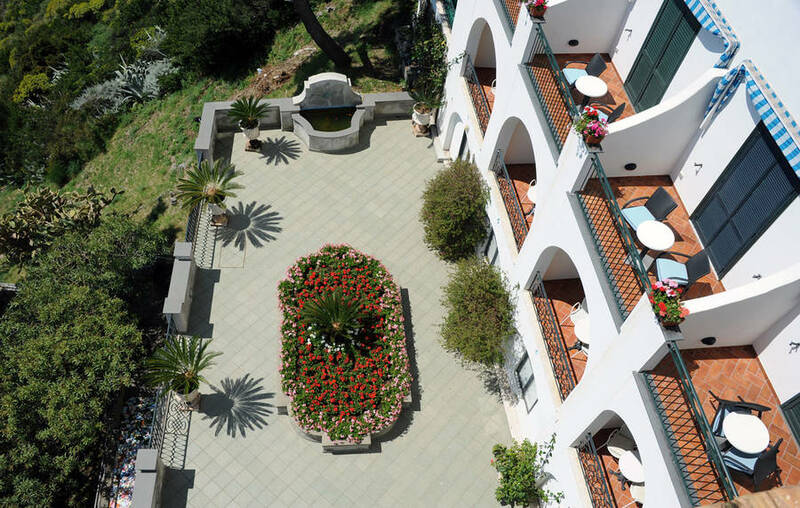 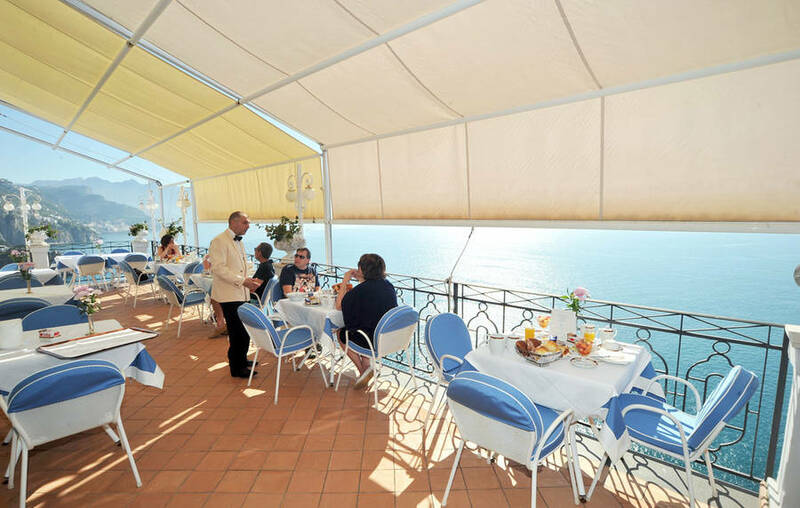 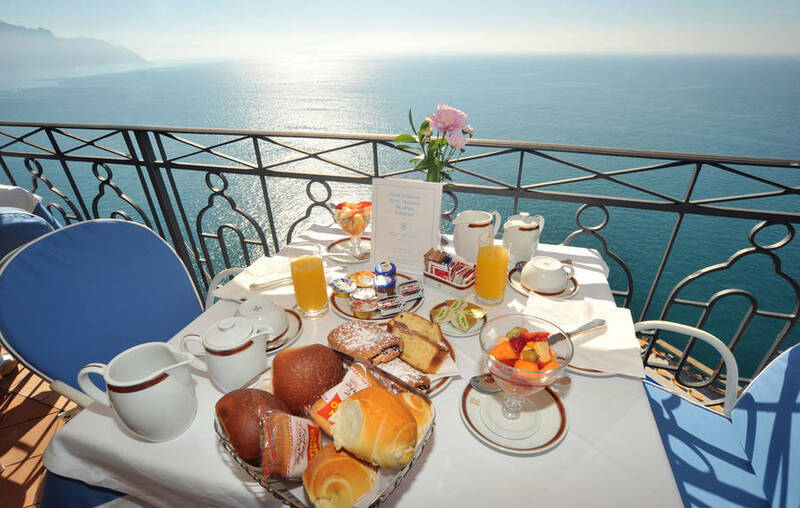 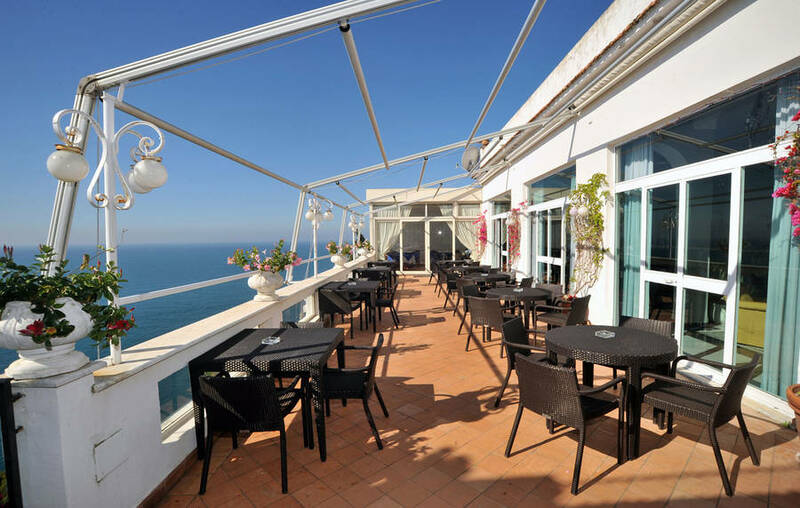 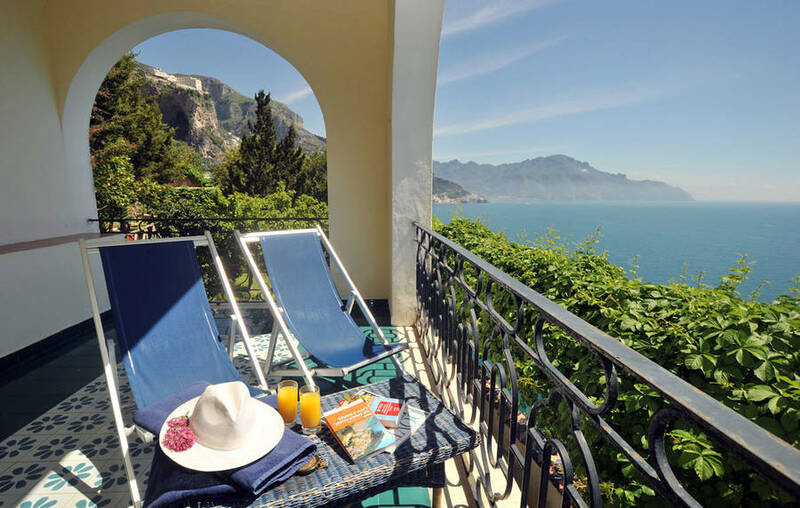 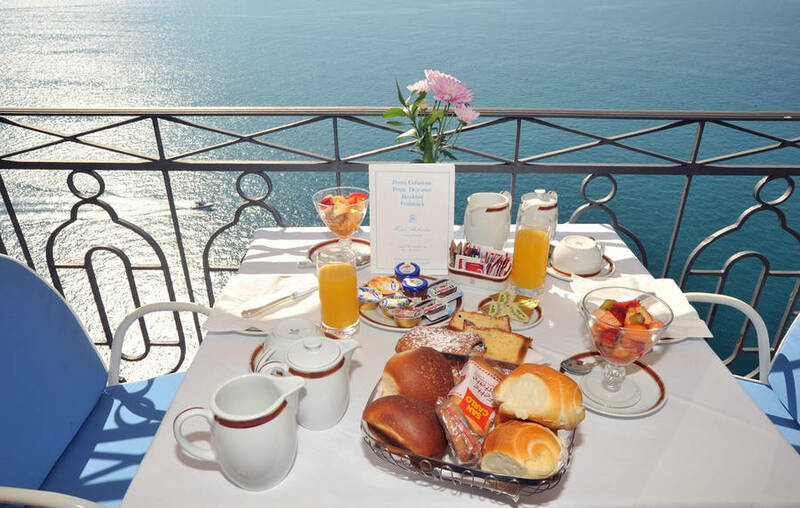 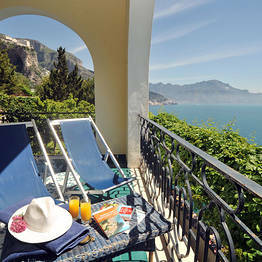 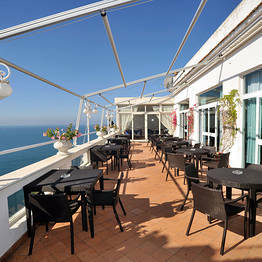 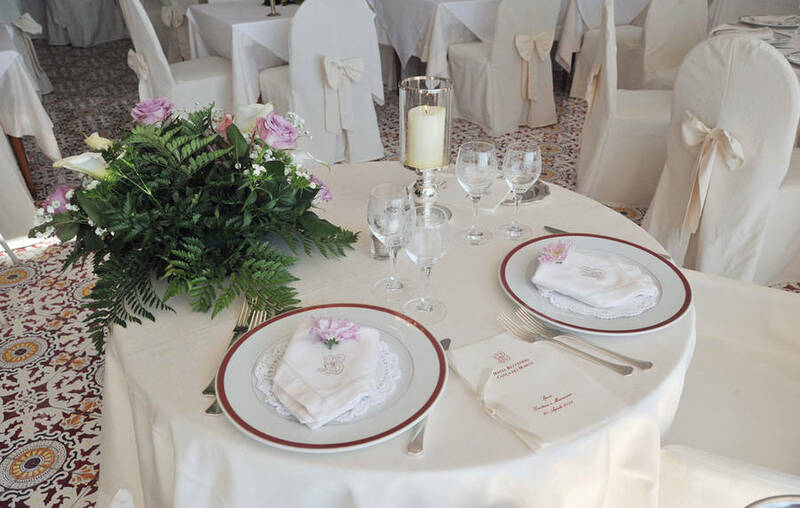 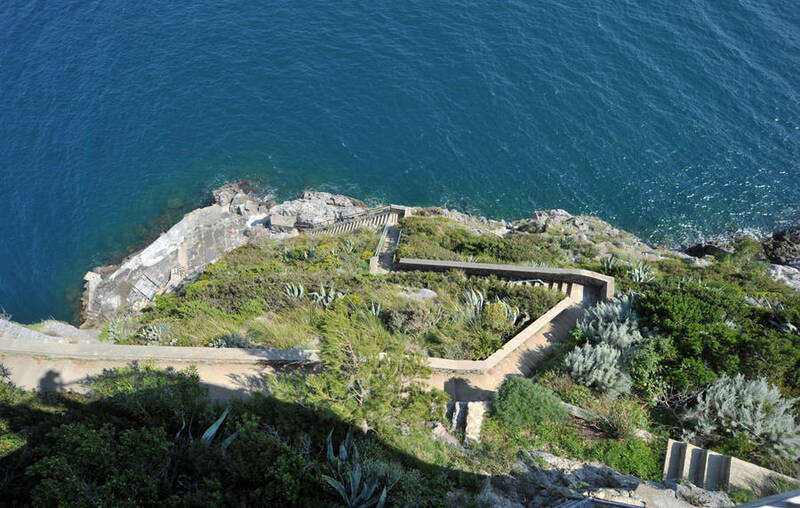 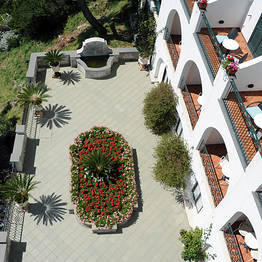 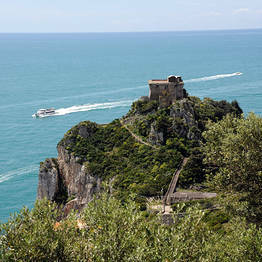 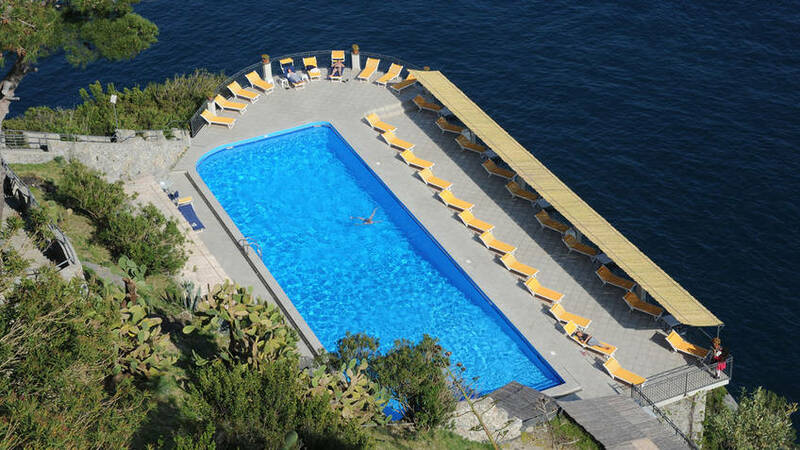 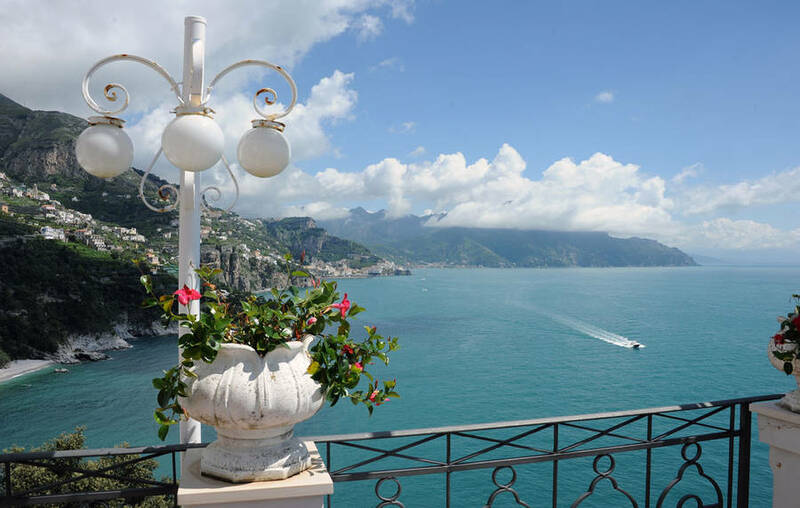 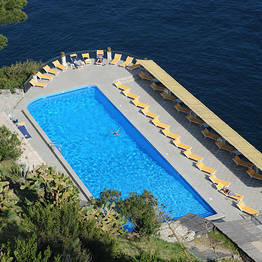 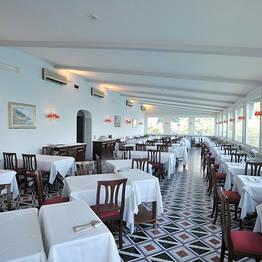 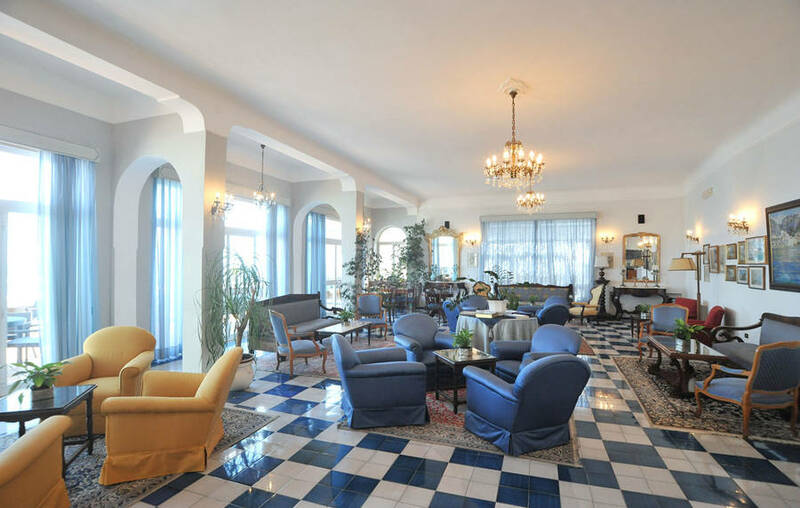 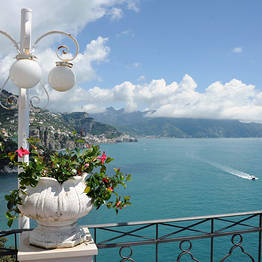 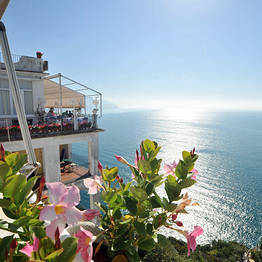 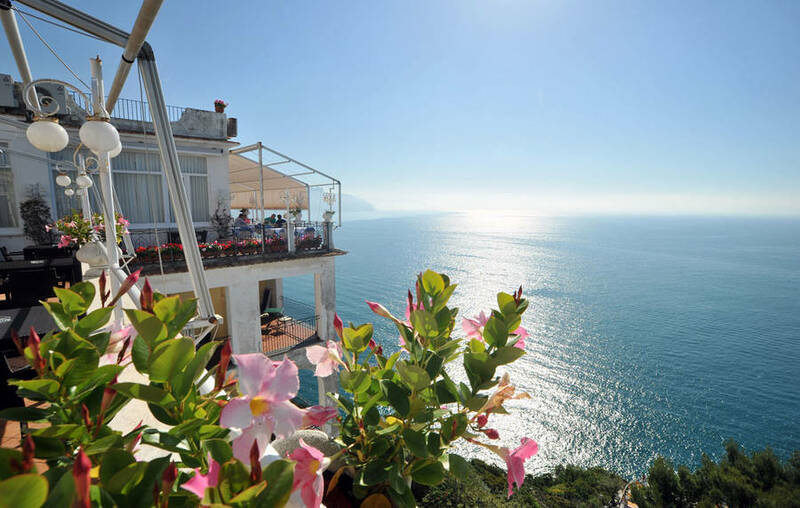 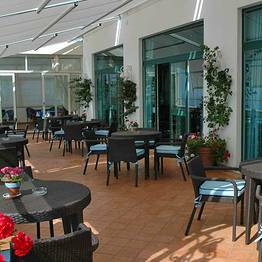 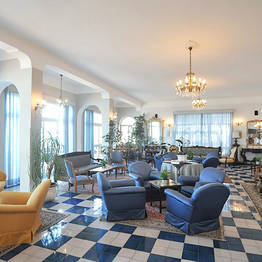 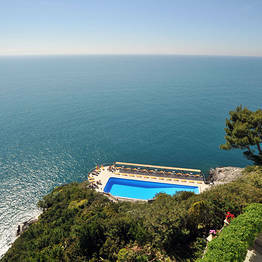 From the hotel's sun drenched terraces a spectacular view of the sea washing the Amalfi Coast can be seen. 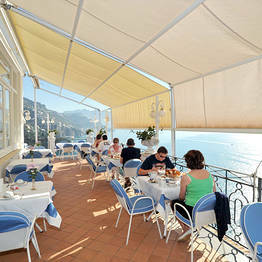 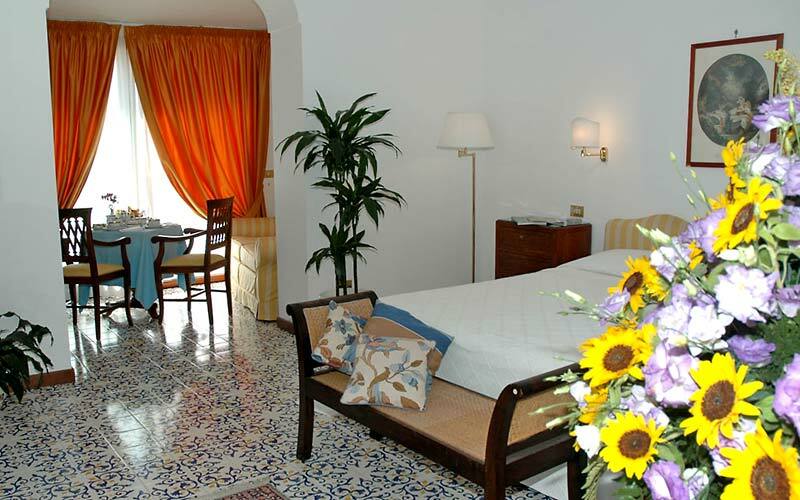 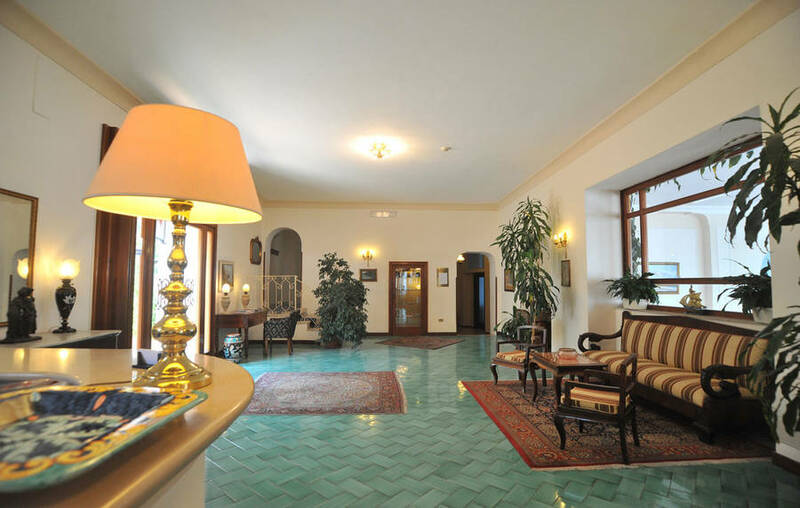 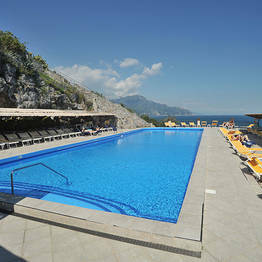 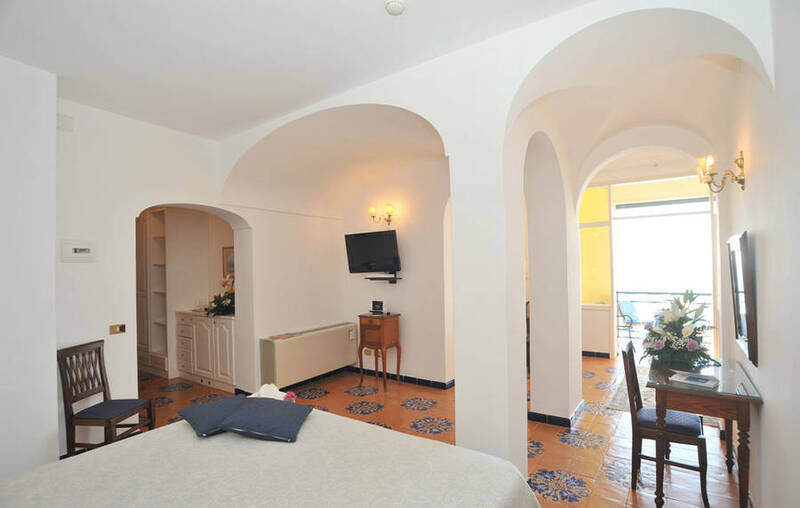 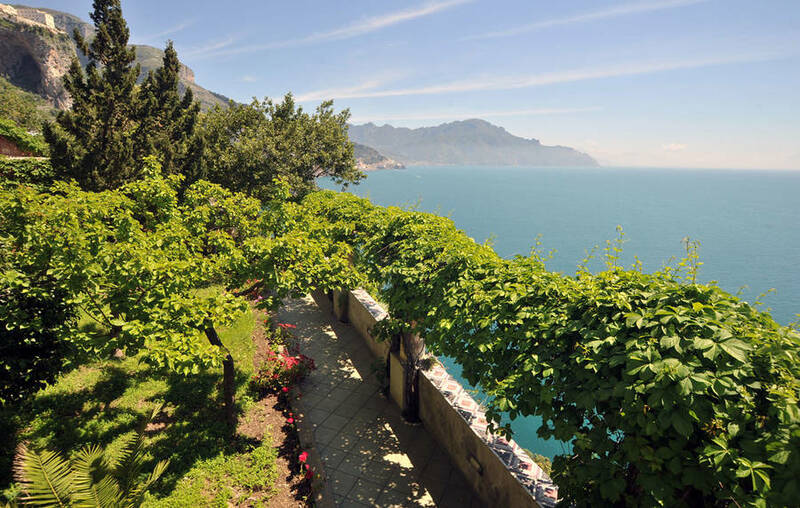 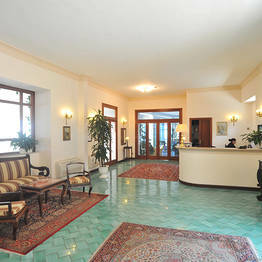 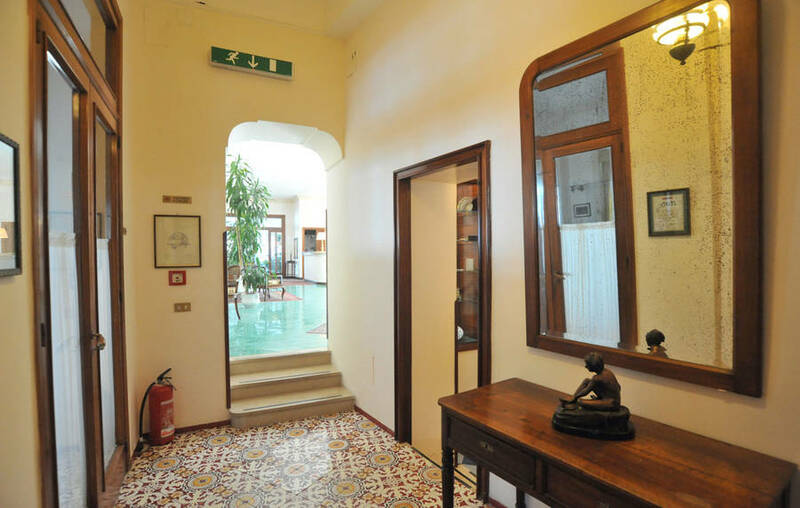 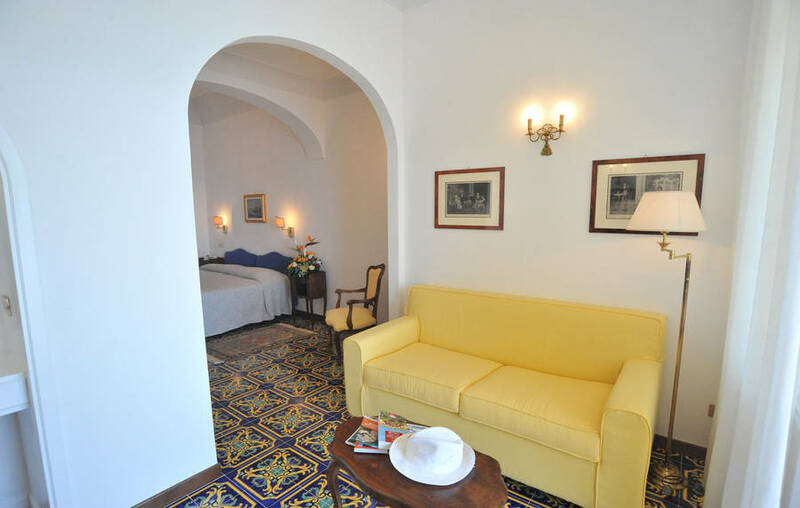 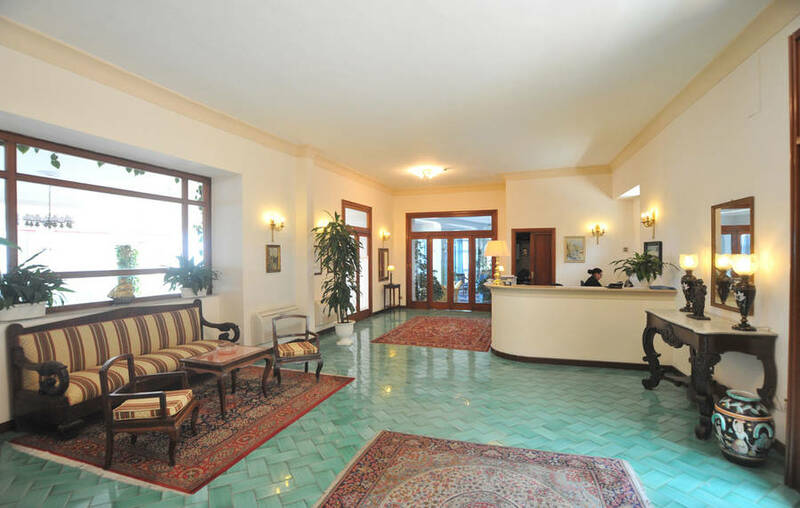 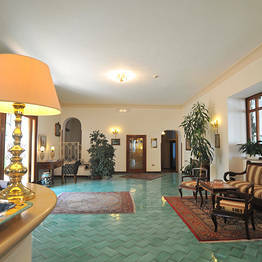 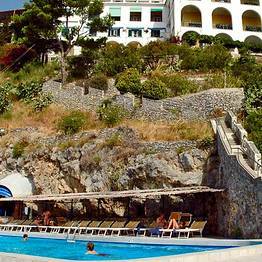 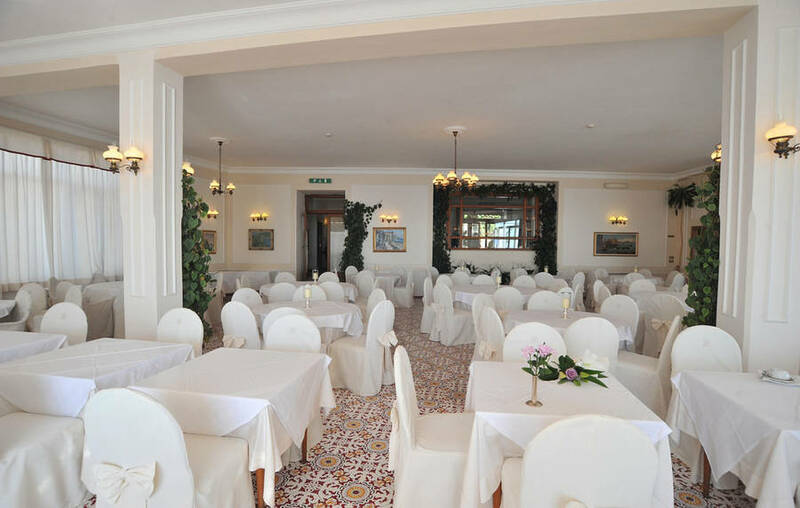 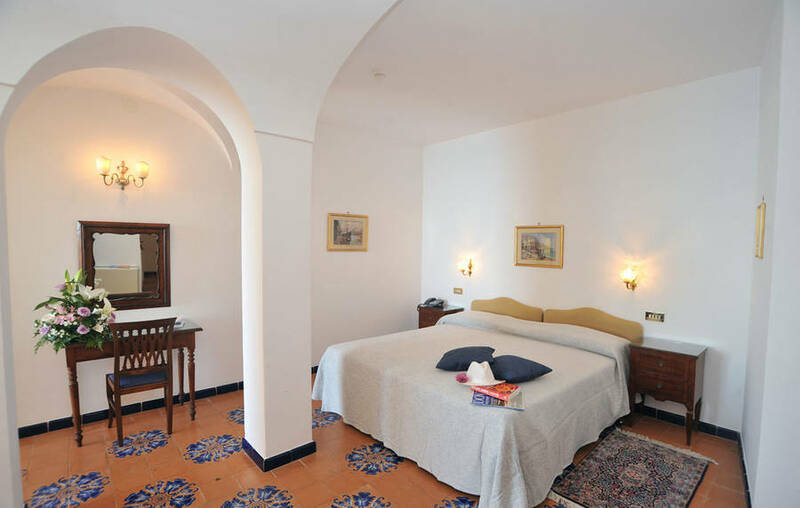 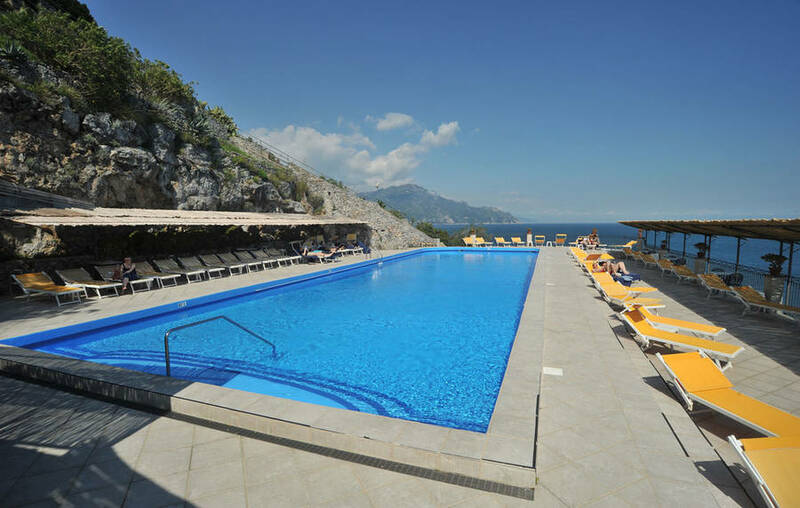 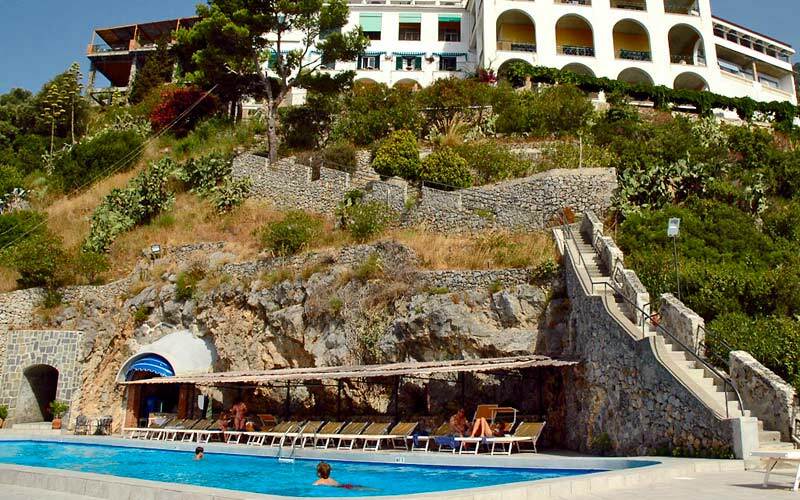 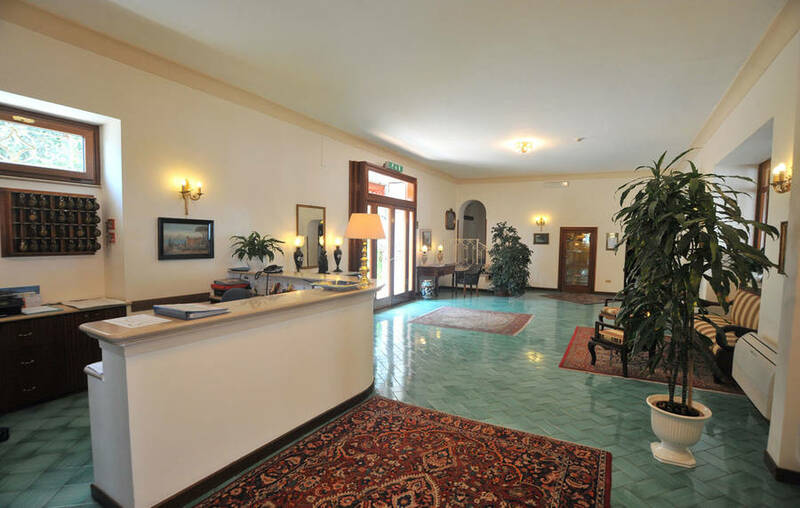 Ravello, Atrani, Furore and Sorrento are all situated within easy driving distance of Hotel Belvedere. 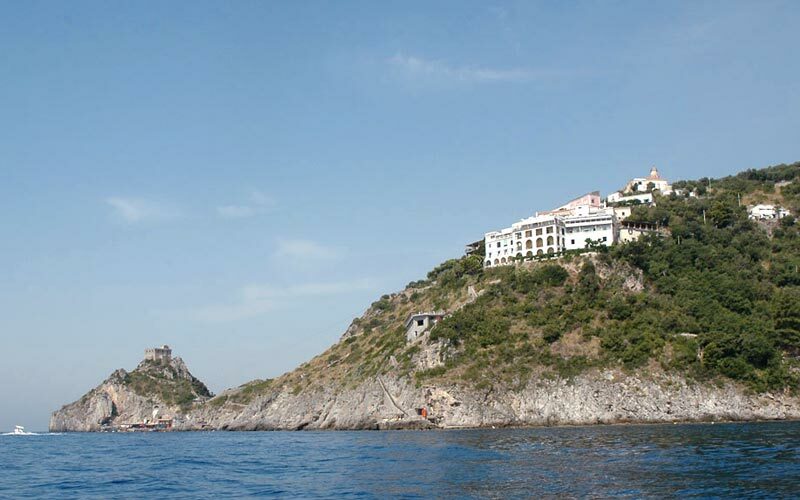 The archeological site of Pompeii and the city of Naples are little more than an hour's drive away. 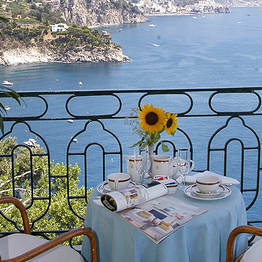 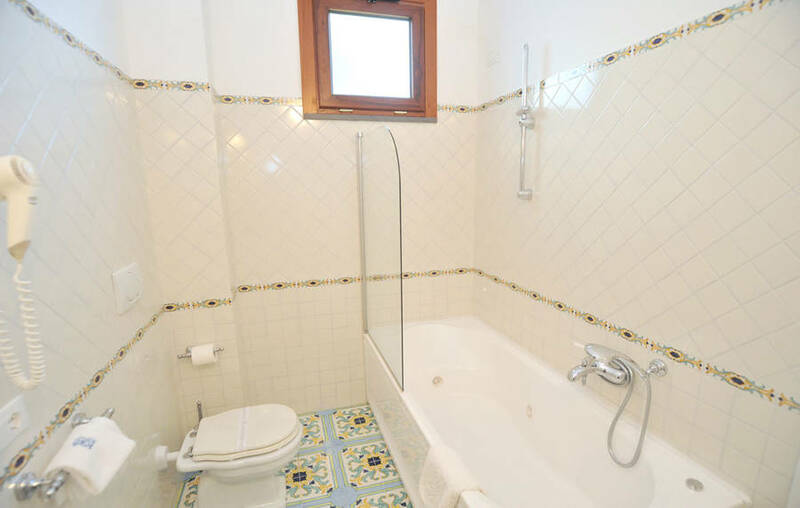 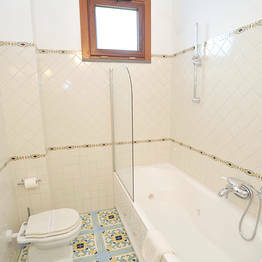 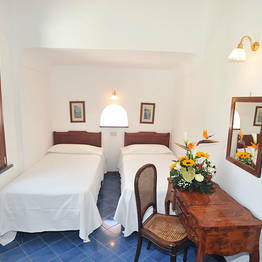 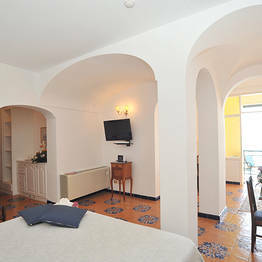 Book Belvedere on Positano.com now with no additional booking fees.